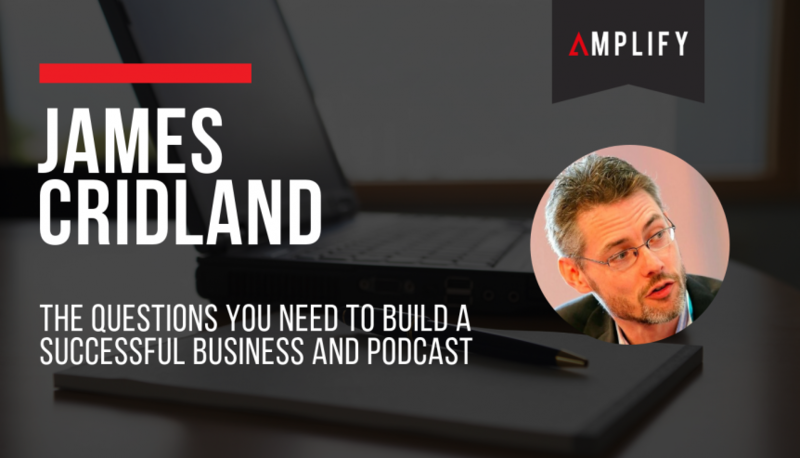 James Cridland is an award-winning writer, speaker, business consultant, and radio futurologist, as well as the founder of the weekly online newsletter “PodNews”. On the latest episode of “Should I Start a Podcast”, James and I spoke about how businesses can prepare themselves, simply by asking questions, and starting conversations. In the process, we explored his history in the industry of podcasting, and his achievements around the globe. We Prepare Ourselves For Exams. Why Don’t We Prepare Our Businesses? Most business owners, if asked directly, couldn’t clearly tell you what they do or why you should buy their products and services. Although we know customers will be asking us these questions, we somehow neglect them. Call yourself and your business whatever you want, but really look at yourself and ask questions like: ‘Why should anyone buy from me?’ ‘What’s the benefit of what I’m selling?’ ‘Why did I start my company?’ At the end of the day, what you communicate should distill you down to your core values. If a customer doesn’t know you, you have an opportunity to impress them. It was after a Vancouncer conference in 2005 that James had his idea for the website that would become “PodNews”. His vision was simple: be the go-to source for podcasting news, in under 2 minutes. James’s secret? He asked himself, ‘How quick and easy can I make this for myself?’ while being as simple and consistent as possible. His next logical step: the “PodNews” podcast, bringing his business to even more subscribers. You should always keep your eyes open—seeing what does and doesn’t work, and asking lots of questions. In 2018, you’ll see two types of podcasters: those who want to collaborate and create a beautiful thing; and those who only think in terms of ROIs. It’s for this reason that almost 93% of podcasts have seven episodes or less. It’s easy to get into podcasting. In fact, as James explained to me, podcasting is the only form of mass media in history that’s ever been this accessible. Passion podcasting is in fact a thing, and it can thrive today. But the trick, as always, is to focus on great sounding content. Know your audience, and you’ll produce the content they want. Whether you’re in the US, the UK or Australia, you’ll hear companies talking about ‘doing things properly.’ While there’s merit to that approach, you should be somewhere in the middle between being first and being ‘proper’. The corporate world is often too focused on ROI—so much so that it loses sight of what anyone wants or how to reach them. How you innovate, and how you respond to the market, shapes the face and personality of your company as much as everything else that you do. You can make or break your brand this way. The best companies, with the best brands, can produce content that their audiences understand instantly. Allow yourself and your brand to evolve, by constantly asking questions. Listen to my entire conversation with James Cridaland here.